Everyone knows it as Students' Week, Senior Week or Graduation Week. It's when high school students flock to Myrtle Beach, South Carolina after graduation to celebrate the end of high school. It's the time of year when students from the age of 16-19 descend on Myrtle Beach for fun in the sun. 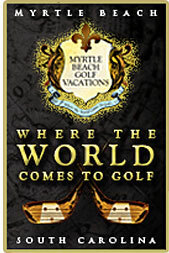 Why Myrtle Beach? Myrtle Beach has great weather and outstanding accommodations with the ocean as their front yard. Students flock to MB to celebrate and unwind. Myrtle Beach's miles of sandy oceanfront draw in students interested in sunning, sporting and scoping each other out. Leisure time on the beach is spent playing Frisbee, hackeysack, and volleyball. Nearby, there are championship golf and, for the less adventurous, minigolf courses. For those less athletically inclined, there is great shopping at the new Coastal Grand Mall or Broadway at the Beach. After the sun sets, things heat up at night. The area has interesting restaurants including Hard Rock cafe, Planet Hollywood and the House of Blues. Located in central Myrtle Beach, Sandcastle at the Pavilion is the place to be in Myrtle Beach for Senior week - No Books, No Classes No Homework Guaranteed!